Compression | Child Therapy Solution | East Midlands : Children's Therapy Solutions Ltd.
We recently posted a link on our Facebook page regarding compression strategies; this link highlights that you can get compression through many different activities and not just a compression vest. Compression based activities can be calming for the body, it can give us increased body awareness and helps us be more aware and in control of our bodies. If we feel calmer, this can often improve our attention and concentration and if we have increased body awareness we might be able to complete more functional activities. The above link mentions compression activities like the squeeze machine, a ball pool and swimming. In addition to this, one of the most effective ways of providing compression is to use a gym ball, massage up and down the body when lying on your stomach; you can vary the amount of pressure dependent on your child’s needs. 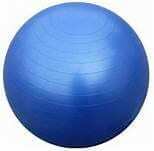 The gym ball is easy to store when you have an electric pump as you can put it up and down as required. 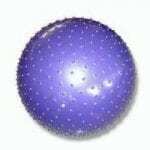 You could also use a more textured ball like the purple one shown here for increased tactile input. Hopefully we have given you some ideas about different activities to provide compression.